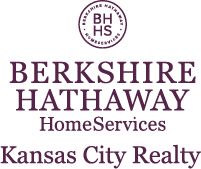 A better, faster BHHS Kansas City Realty website is coming soon. Test the new Beta site now before it launches. Incredible townhome in the heart of historic Westport! Enjoy mornings and evenings on your balcony. 12ft ceilings, lots of light & windows, feat. private parking via gated security-monitored & manicured courtyard, plenty of storage, walk-in mstr closet & office nook. Black stainless stove,microwave,dishwasher,wshr/dryr & fridge, in-unit laundry, updated lighting, gate entry for entrance & more! Walking distance to all that Westport has to offer. Kansas City is located in Missouri. Kansas City, Missouri 64111 has a population of 475,378. The median household income in Kansas City, Missouri 64111 is $45,376. The median household income for the surrounding county is $46,917 compared to the national median of $53,482. The median age of people living in Kansas City 64111 is 35 years. This content last refreshed on 4/21/2019 10:59 AM. Some properties which appear for sale on this web site may subsequently have sold or may no longer be available. I am interested in 3991 Pennsylvania Avenue, Kansas City, MO 64111. © BHH Affiliates, LLC. And independently owned and operated franchise of BHH Affiliates, LLC. Berkshire Hathaway HomeServices and the Berkshire Hathaway HomeServices symbol are registered service marks of HomeServices of America, Inc.® Equal Housing Opportunity.